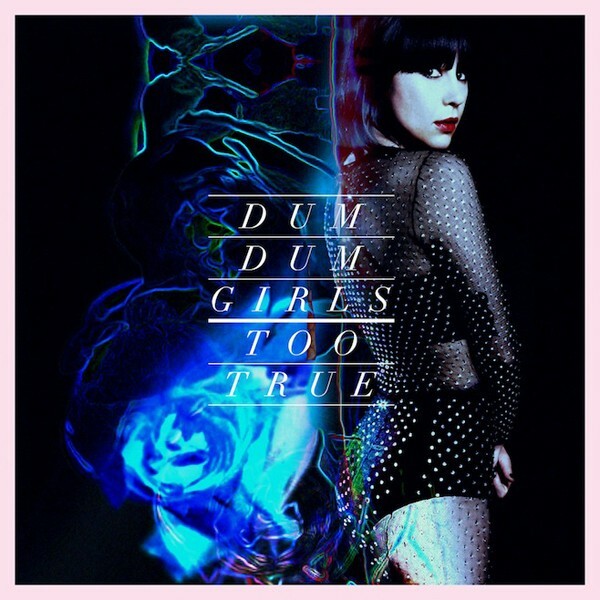 Like many scrappy, lo-fi pop outfits that stay together long enough, Dum Dum Girls have finally embraced the studio. Their third full-length, Too True, is rife with calculated percussive flourishes and deftly stacked layers of glistening keyboard, as bandleader Dee Dee Penny's lilting voice floats atop an impeccably produced, icy-but-not-frigid, indie-rock sheen. But all of that is just gloss without good songs, and Dum Dum Girls' melodic faculties are quite well suited to studio wizardry (enabled, in part, by producers Richard Gottehrer and Sune Rose Wagner of The Raveonettes). "Too True to be Good" makes the best use of multi-tracking capabilities, as verses slightly overlap each other before diving into a blissful chorus. "In the Wake of You" uses a tight backbeat and dry riff to focus listeners on Penny's nuanced delivery. But according to Penny's self-written press release, there's more to this album than hyper-stylized pop. She invokes 19th-century French poets Verlaine, Rimbaud, and Baudelaire as "artistic collaborators," but her trite lyrics, such as evil blooms just like a flower, tend to wither and die. In that sense, Too True is better understood on pop terms than on literary ones, because pop forgives cliché.